One summer night in 1930, Judge Joseph Crater steps into a New York City cab and is never heard from again. Behind this great man are three women, each with her own tale to tell: Stella, his fashionable wife, the picture of propriety; Maria, their steadfast maid, indebted to the judge; and Ritzi, his showgirl mistress, willing to seize any chance to break out of the chorus line. As the twisted truth emerges, Ariel Lawhon’s wickedly entertaining debut mystery transports us into the smoky jazz clubs, the seedy backstage dressing rooms, and the shadowy streets beneath the Art Deco skyline. 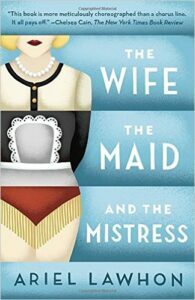 The Wife, the Maid, and the Mistress by Ariel Lawhon is an enrapturing tale of greed, deceit, and lust. 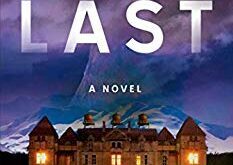 Set in 1930, Lawhon tells the true story of Judge Crater, who suddenly disappears without a trace. Because many of the details are still unclear over the years, Lawhon fictionalizes much of the story with her take on what may have happened. True to a good old-fashioned Hitchcock whodunit, The Wife, The Maid, and the Mistress will keep you guessing until the very end. 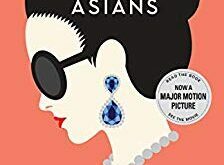 Told from the viewpoints of the wife, Stella; the maid, Maria; and the mistress, Ritzi, the story takes twists and turns, jumping from 1969 all the way back to 1930. When you think you have the mystery figured out, another clue pops up and derails your conclusion. You’ll find yourself flipping back a few pages just to make sure you have the details correct. The ending is shocking, one that you won’t see coming because under the masterful hand of Ariel Lawhon, she’s hidden the most crucial details and saved the best for last. If you like mysteries (they’re not my favorite), you should snap up this book. It’s one you’ll read over and over to figure out how you got it so wrong. I give it 5 out of 5 stars. Pick up your copy of The Wife, the Maid, and the Mistress by Ariel Lawhon from Amazon or Barnes and Noble. You can also get a hard copy if you prefer! Make sure to add it to your Goodreads To Reads list and leave your feedback for the author when you are finished. 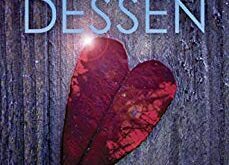 Born and raised in Michigan, Kendra Kilbourn is the author of Lovely Shadows, Stay,Promise, For Foolish Pride (the For Foolish Pride series Book 1), Before A Fall (the For Foolish Pride series Book 2) Eternal Sun (Adelaide trilogy Book 1), Fragile Moon (Adelaide trilogy Book 2), Bygones, and No One But Us--all available on Amazon and all Kindle apps. When she's not writing, she works outside the home as a bus driver for special needs adults. She currently lives in Michigan with dreams of one day seeing the Eiffel Tower and retiring to Traverse City, Michigan.